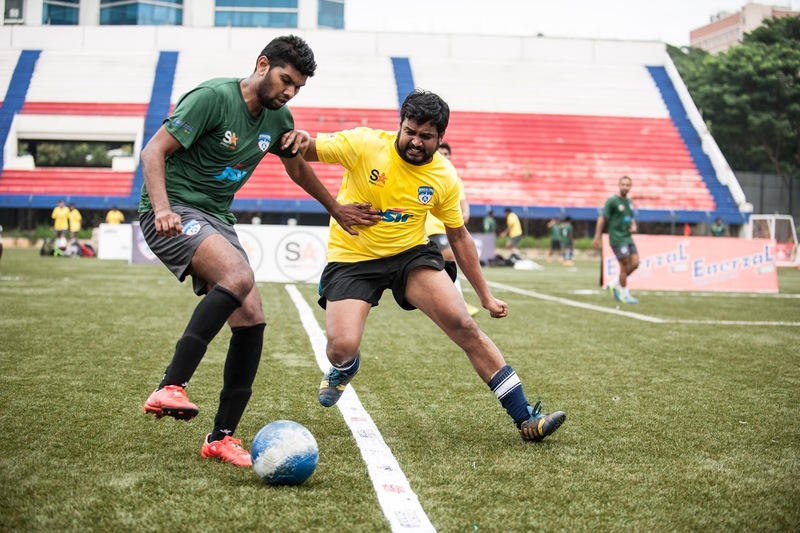 Hewlett Packard registered a thumping 7-0 victory over Arbor Brewing Company while defending champions Thompson Reuters beat ITC Infotech 6-1 in Groups B and D respectively on day one of the BFC Corporate Football Rumble 2015 at the Bangalore Football Stadium, in Bengaluru, on Saturday. The goals for HP came from Strukt (2), Paul (2), Solomon (2), and Arjun. Thompson Reuters’ goal scorers were Kalai, Surender, Dario (2), Nikhil and Reynold. The loan goal for ITC was netted by Prince. In other matches, KPMG blanked ITC 6-0 with prolific goal scorer Umashankar finding the net four times and Bharath twice. There was more grief for Arbor as they suffered a 5-0 defeat to SIEMENS in another Group B encounter. Raju (3), Harshit, and Odneil found the net for SIEMENS. In Group C, Amazon beat Ernst and Young 4-2 and lost to ANZ 2-0, while EYFC beat ANZ 2-0. The final round of group games take place tomorrow, with the knock-out rounds scheduled for later in the day.